You are here: Home / ONE CHANCE: Order now! 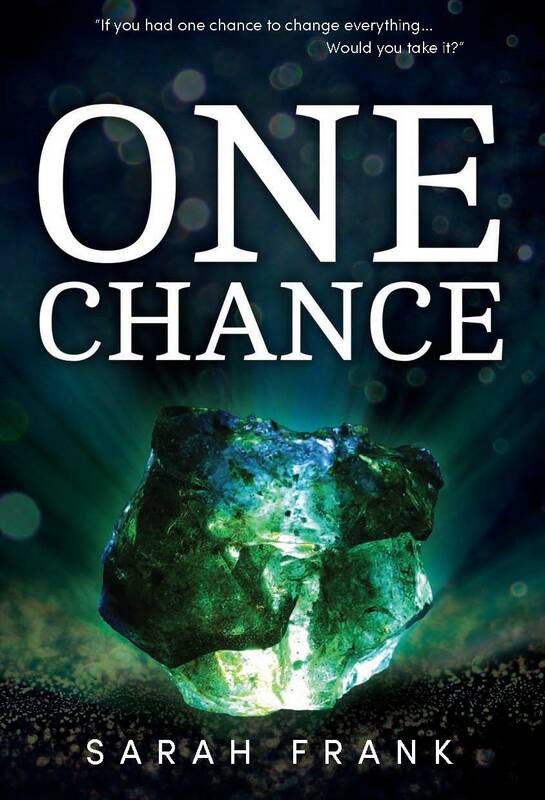 One Chance is now live on both Amazon and Barnes and Noble! 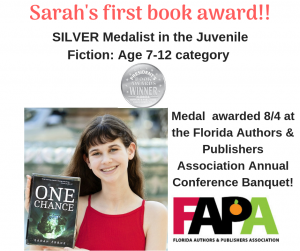 About One Chance: When Sandy’s parents don’t return from a trip, she finds herself thrust into two orphanages run by the darkly mysterious Marsh sisters. 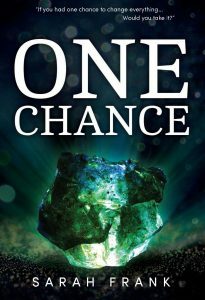 Brian, a new middle school student, seeks out Sandy and reveals the existence of a magical rock: The Stone of Discedo. Threatening notes (or clues?) appear and Sandy, Brian and their fellow orphans find themselves in an escalating series of events. A theft is committed and Sandy is framed; a Sandy-lookalike orphan is brutally murdered. Sandy realizes that she has one chance to change her entire life and get her parents back…by going back in time.